S.T.Dupont James Bond 007 Flashlight Key Ring is part of the Limited Edition dedicated to 007 in 2004 . 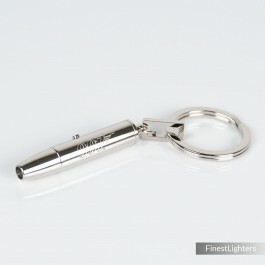 The flashlight key ring is shaped like a bullet and engraved with 007 trademark. Palladium (platinum) finish. A "must" for 007 lovers and collectors.